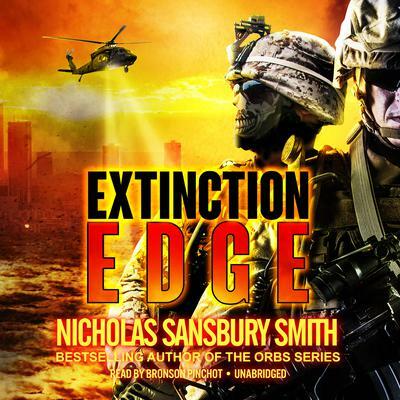 A bioweapon designed to save the world … A scientific discovery that will alter human history … And a new threat that will bring humanity to the Edge of Exctinction. The dust from Dr. Kate Lovato’s bioweapon has settled. Projections put death counts in the billions. Her weapon was supposed to be the endgame, but it turned a small percentage of those infected with the Hemorrhage Virus into something even worse. Survivors call them Variants. Irreversible epigenetic changes have transformed them into predators unlike any the human race has ever seen. And they are evolving. With the doomsday clock ticking, the fractured military plans Operation Liberty—a desperate mission designed to take back the cities and destroy the Variant threat. Master Sergeant Reed Beckham agrees to lead a strike team into New York City, but first he must return to Fort Bragg to search for the only family he has left. At Plum Island, Kate discovers Central Command may have considerably underestimated the Variant population in New York. As Operation Liberty draws closer, Kate warns Beckham that Team Ghost won’t just face their deadliest adversary yet—they may be heading into a trap. At Plum Island, Kate discovers Central Command may have considerably underestimated the Variant population in New York. As Operation Liberty draws closer, Kate warns Beckham that Team Ghost won’t just face their deadliest adversary yet—they may be heading into a trap. Engrossing follow up in the series. In this 2nd offering of the bioweapon gone amuck, poised to destroy mankind, we discover ing a hemorrhaging virus has mutated into even more devastating creatures. Known as Variants, their predatory nature accelerates and suddenly cities everywhere are under a Variant siege. Our main character, Sergeant Reed Beckham agrees to take his strike team into the heart of New York City. Here then is an action drama that spares little in the area of blot twists and revelations of multiple characters that progresses a doomsday story further, begging the listener to never assume it’s over until it’s over. In the case of Extinction, one can only wonder how the Variants are going to be stopped. 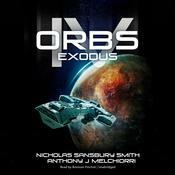 Smith, with the perfect casting of Bronson Pinchot as narrator, delivers another fast paced whirlwind of images and danger every minute of the listening experience.. Definitely a respectable and rewarding 2nd book. 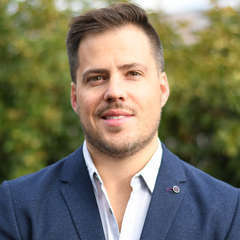 Go Nicholas! Wow! 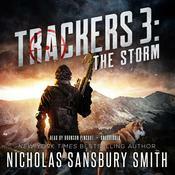 What a great series by Nicholas Sansbury Smith. 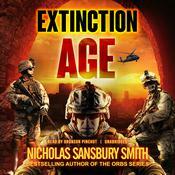 Extinction Edge picks up the pace in this second book. The Variance is evolving, making them even more deadly. 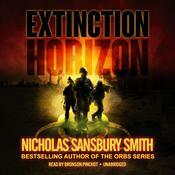 Fans of military action, zombie apocalypse, and viral outbreaks will need to listen to this.